NEW APPROACH (IRE) (Chestnut 2005-Stud 2009). 8 wins-5 at 2, The Derby, Gr.1. Sire of 412 rnrs, 230 wnrs, 26 SW, inc. Dawn Approach (Curragh National S., Gr.1), Sultanina, Talent, May's Dream, Connecticut, Herald the Dawn, Libertarian, Gamblin' Guru, Elliptique, Sword of Light, Ceisteach, Potemkin, Cap O'Rushes, Messi, Montsegur, Newfangled, Tha'ir, Glamorous Approach, Beautiful Romance, Charlevoix, Parish Boy, Royal Rumble, Waldnah, Be Ready, etc. ROYAL RUMBLE (g. by New Approach). 4 wins. See below. Goodfun Girl (f. by Starcraft). 6 wins from 1200m to 1600m, A$174,780, to 2014-15, SAJC William Hill H., Marsh H., Adelaide Casino H., Holdfast Insurance Brokers H., Oakbank RC Musgrove Wheeler Life Members H., The Advertiser P., 2d SAJC Adelaide Galvanising H., Basin Sands Logistics H., Con Yamas H., Nocelle Foods H., 3d SAJC Veolia 2YO H.
Exhilarated (f. by Bernardini). Winner at 1600m in 2015-16 in Aust. Wildcoast. 5 wins-1 at 2-from 1200m to 1650m, A$184,490, VRC Sanderae H., Sturt H., MRC Molly's Robe H., 2d MRC Westpac Bank H., Belhaven H., Snowing H., MVRC Rudi Malojer H., Winning Edge Presentations Cup, MRC Clive Leonard H., Flying Spur H., 3d VRC Jezabeel H., Eugene Gorman H., MRC Heathmont 2YO H., Jack Elliott H.
Queen's Kiss. 4 wins. See above. Sammartini. Winner at 1200m, 2d SAJC Allan Scott Park H., 3d VRC Lort Smith Animal Hospital 2YO H., MRC Premier Signs 2YO H.
Kings Domain. Winner at 1200m in Aust, 3d HKJC Midland Sharing Joy With You H.
Kasabe. Winner at 1600m in 2014-15, MRC Hygain P.
CELERIS (Fusaichi Pegasus). 4 wins at 1200m, NZ$91,825, Levin S., L, ARC North Harbour Hyundai H., Matamata RC Rich Hill 3YO H., 2d CJC Pegasus S., L, ARC Telecom H., Waikato RC Lowe Schollum & Jones H., 3d ARC Easy Mix 3YO H.
In Masquerade (Pentire). 3 wins from 1500m to 2200m, A$134,532, to 2014-15, BRC Bank of Queensland New Farm H., 2d SAJC Schweppervescence S., Gr.3, Laelia S., L, Ipswich TC GCTC Melbourne Cup Packages H., 3d ATC Pro-Ride H., MRC Fisher & Paykel H., MRC (Mornington) Blue Diamond Nominations 2YO P.
Fortune Princess. 3 wins to 1450m, SAJC Pope Packaging H., HKJC Tianjin H., 2d HKJC Fanling H., 3d SAJC Hamilton Holden Sprint H., HKJC Red Room H., Guilin H. Producer. Ransom Claim. 2 wins-1 at 2-at 1200m, 1400m, MRC Special Dane H., SAJC Join the AHA 2YO H., 2d SAJC Morphettville Junction 2YO H., 4th VRC Vanity S., Gr.3. Producer. Queensgate. 2 wins. See above. Gastronomy. Winner at 1000m, SAJC The Dunes Port Hughes P.
Loving Excess. Winner at 1000m, SAJC Doro P., 2d SAJC Evright P.
HOSS AMOR (General Nediym). 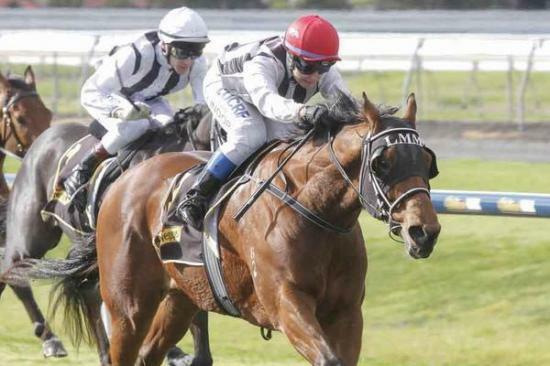 4 wins at 2, A$425,350, BRC Lancaster S., L, Hampden S., L, Qld Tatt's RC Mercedes-Benz S., L, Wyong 2YO Classic, 2d MVRC Champagne S., Gr.3, BRC Doomben Slipper, L, 4th GCTC Magic Millions Guineas, L.
LOVING CUP (Bluebird). 5 wins. See above. SIZZLING (Snitzel). 7 wins-5 at 2-from 1000m to 1600m, A$1,332,375, BRC TJ Smith S., Gr.1, Champagne Classic, Gr.2, Sires' Produce S., Gr.2, Queensland Guineas, Gr.2, Gold Edition P., L, GCTC Ken Russell Memorial Classic, L, BRC Tyquin Speech and Reading 2YO H., 2d BRC BJ McLachlan S., Gr.3, Vo Rogue P., Gr.3, Phelan Ready S., L, GCTC Magic Millions Guineas, L, 3d ATC Expressway S., Gr.2. WRITTEN DASH (Written Tycoon). 3 wins at 1100m, 1200m, A$168,940, in 2014-15, MVRC Typhoon Tracy S., Gr.3, MRC Appelles H., 2d MVRC 1print H.
PITTANCE (Snippets). 14 wins-3 at 2-to 1200m, A$514,335, QTC Lightning H., L-twice, 3d STC Frederick Clissold S., Gr.3. BORN TO FLY (Mossman). 10 wins from 1200m to 1600m, S$895,607, to 2015, Singapore TC EW Barker Trophy, Sgp-2, 2d Singapore TC Committee's Prize, Sgp-3. FULLAZZ (Redoute's Choice). 4 wins-1 at 2-to 1550m, A$218,750, MRC Debutante S., L, Tristanagh H. Producer. SHY HERO (Last Tycoon). 8 wins to 1200m, A$441,190, AJC TJ Smith S., Gr.3, San Miguel Light H., AAP H., STC X-Site Nightclub H.
Race Record: 14 Starts 4-3-3 A$235,140. 4 wins-2 at 2-from 1250m to 1600m, A$235,140, to 2015-16, SAJC CS Hayes Memorial Cup, L, Hughes Chauffeured Limousines H., Hughes Chauffeured Limos 2YO H.-twice, 2d SAJC Chairman's S., Gr.3, Medallion Homes H., Michael Woods H., 3d SAJC Ubet Adelaide Cup Raceday H., Adelaide Produce Market 2YO P., Exelsuper H.